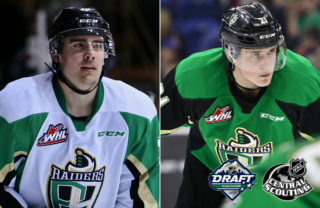 Prince Albert, SK – Dante Hannoun and Sean Montgomery scored 37 seconds apart in the third period as the Prince Albert Raiders came from behind to beat the Saskatoon Blades 3-2 in Game 2 of their 2019 WHL Playoffs series on Sunday at the Art Hauser Centre. With the win, the Raiders took a two-games-to-none lead in the series. 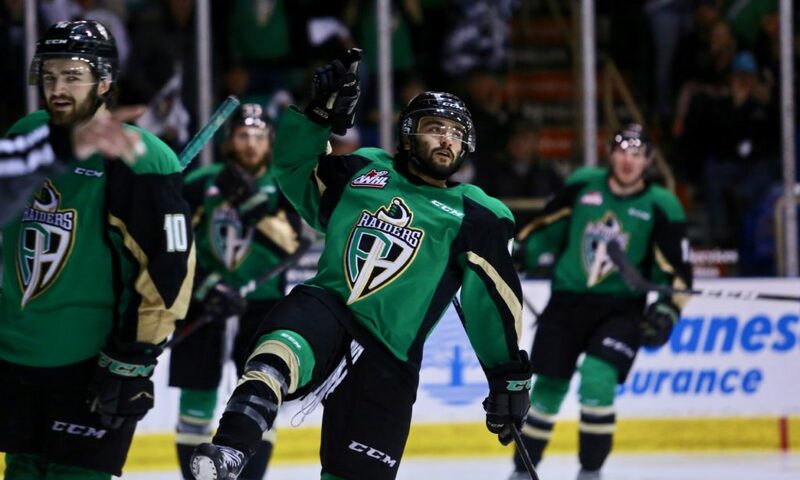 The Blades struck first midway through the opening period following a Raiders’ penalty. Kirby Dach collected the puck in the neutral zone and headed towards goal. 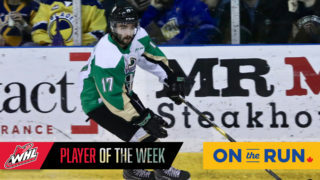 The Blades forward dipped around a Raiders defender, cut across goal, and a slid a puck through Ian Scott for his fourth of the WHL Playoffs. Early in the second, Saskatoon extended its lead on a power play. Eric Florchuk was camped in front of the Raiders goal. Dawson Davidson’s shot trickled through Scott and hit the post. However, Florchuk reached behind him and tucked in the rebound for his first goal of the post-season to put the Blades up 2-0. The Raiders were able to cut the lead in half before the end of the period. 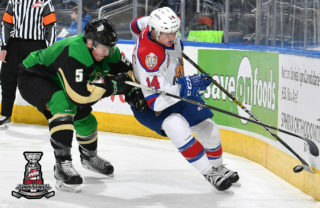 As a power play expired, Zack Hayes stepped into a cross-ice pass from Aliaksei Protas and wired a wrist shot past Nolan Maier for the first WHL Playoffs goal of his career with 29 seconds left in the period. Early in the third, the Raiders tied it up. Max Martin hit Hannoun with a pass just before the blue line. The overager from Delta, BC skated into the slot and snapped a shot through Maier for his third of the post-season, levelling the score at 2-2. Just 37 seconds later, Montgomery put the Raiders up for good. On a Raiders’ power play, Noah Gregor’s shot was stopped by Maier. Montgomery was on the top of the crease and banged home the rebound before getting checked to the ice. 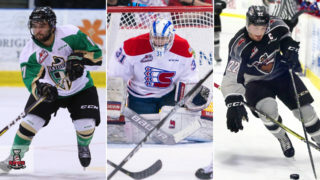 The goal was Montgomery’s fifth of the WHL Playoffs and fourth of Round 2. From there, Scott kept the Blades at bay for the rest of the game. The Toronto Maple Leafs prospect stopped seven shots in the final frame to preserve the win. On the night, Scott made 24 saves. Maier stopped 29 Raider attempts in the loss. 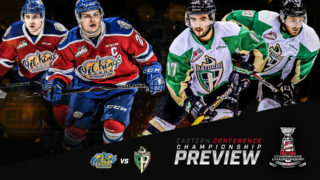 The series shifts to Saskatoon for Game 3 on Tuesday night at SaskTel Centre. Puck drop is 7 p.m. 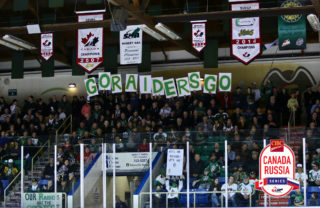 The Raiders are sending a fan bus to Saskatoon for the game. Tickets are $55 for adults and $30 for children and include admission to the game. The bus will leave from the Art Hauser Centre at 5 p.m. Get tickets for the bus at the Raider Office.